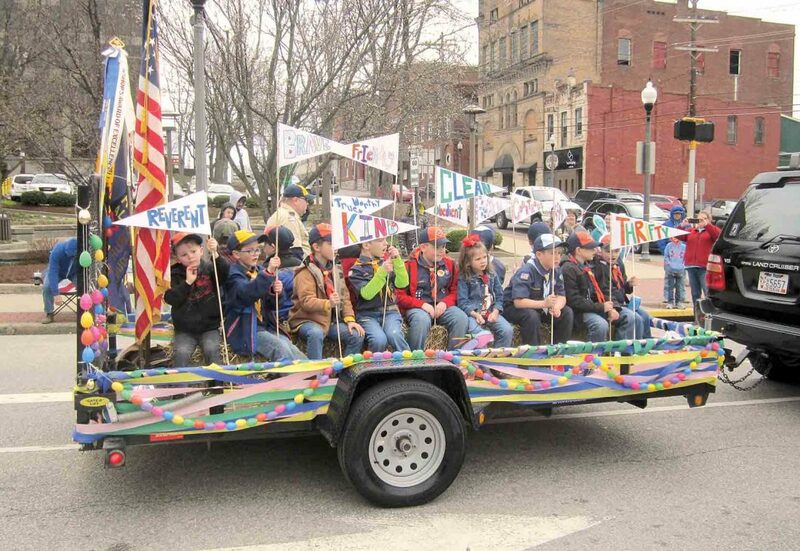 File Photo Cub Scout Pack 12 had a float in last year’s Mid-Ohio Valley Easter Parade along Market Street in downtown Parkersburg. File Photo Mt. 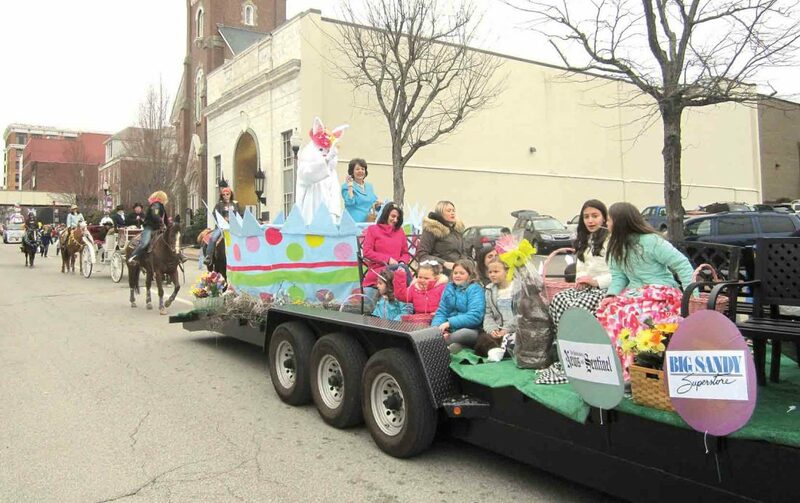 Zion Baptist Church participated in last year’s Mid-Ohio Valley Easter Parade in Parkersburg. 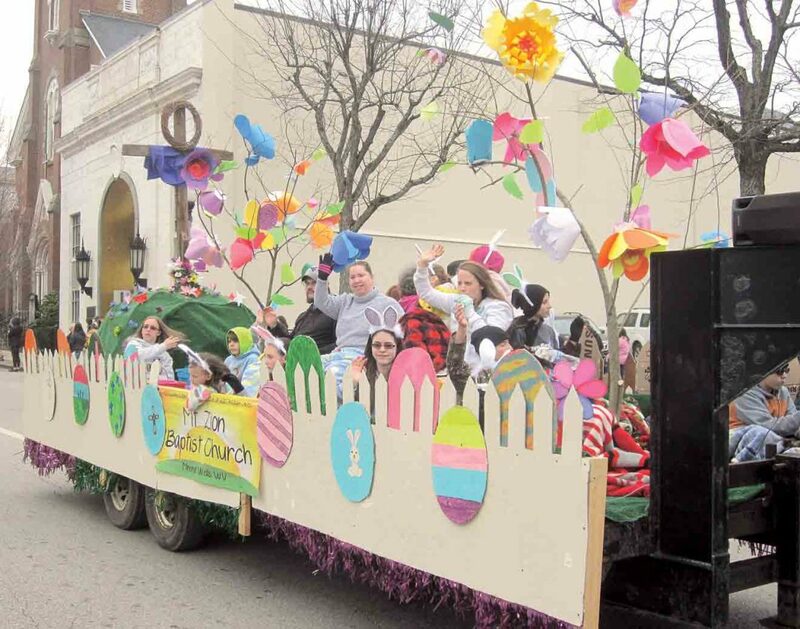 PARKERSBURG — The 10th annual Mid-Ohio Valley Easter Parade will be 2 p.m. Saturday along Market Street in downtown Parkersburg. The lineup will begin at noon and units will stage from 13th to 19th streets along Market. The parade route will run from 13th Street to Second Street. For more information, call 304-863-6516 or go online to MovEasterParade.com or on Facebook at Mid Ohio Valley Easter Parade. Applications will also be mailed out and available at the two Chick-Fil-A’s and Auntie Anne’s Pretzels at the Grand Central Mall, Vienna. Prior to the parade, a “Breakfast with the Bunny” will be 9-10 a.m. Saturday at the Chick-fil-A on Grand Central Avenue. The breakfast is free for children who will have a chance to visit with the Easter Bunny and with the Chick-fil-A Cow.